The Cat Network participates in many online challenges in-order to secure grants to help homeless cats. You can help homeless cats just by helping us win these challenges. 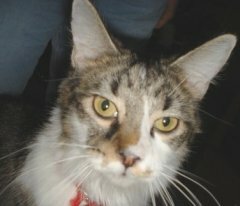 The Cat Network has a chance to win $1,000 in the Petties Award. 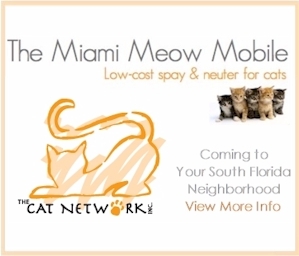 To some that may not seem like a lot of prize money but we as cat volunteers, rescuers, and caretakers know that money can go a long way in spaying/neutering many cats, purchasing medications for colonies to prevent worms and mange….the list goes on. To vote, go to this web site: http://dogtime.com/petties and go to the category “BEST DESIGNED BLOG” and vote for ZEE & ZOEY. You can vote twice a day (from each computer) until July 29! The best part is that you don’t have to register and give out your email. Just two clicks of a mouse twice a day!!! IT’s THAT EASY, there’s no excuse! Anyone can do it. EDUCATION is as important as spayathons. If we educate the masses, it will raise awareness, attract new volunteers and increase donations! That means we save more cat lives!